Life for many Baby Boomers is a squeeze between teens and aging parents - welcome to Middle Age. Phil Calloway writes poignantly about caring for his aging parents while raising three teenagers, sharing discoveries about what really matters in life and how to emerge from the sandwich with grace and style. 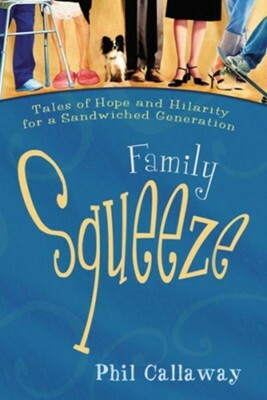 I'm the author/artist and I want to review Family Squeeze: Tales of Hope and Hilarity for a Sandwiched Generation - eBook.